Curating is a relatively new role, compared to the historical depth of visual art as a professional practice. Thus, the title of curator comes with constant evolution and responsibilities in a rapidly developing field. 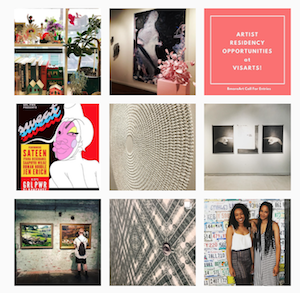 MICA’s MFA in Curatorial Practice Program 2014 (affectionately dubbed CP ’14), exemplifies this dynamic and diverse curatorial model, influenced by the vision of program director, George Ciscle. Besides creating exhibits, MICA’s CP curators seek to connect with people; they emotionally invest in the communities they work with, and care about the outcomes and sustainability of their projects. When interviewed, they speak with passion and certainty about their strategic choices of relevant artists who engage the communities they aim to engage. 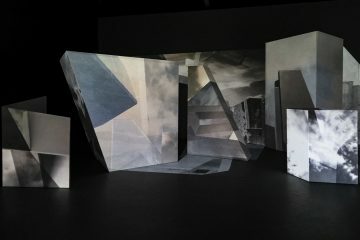 Not surprisingly, thesis projects from CP ’14 are innovative – for example, Xiaotian Yang’s hybrid of museum, lab, and gallery space located on the Johns Hopkins Campus. 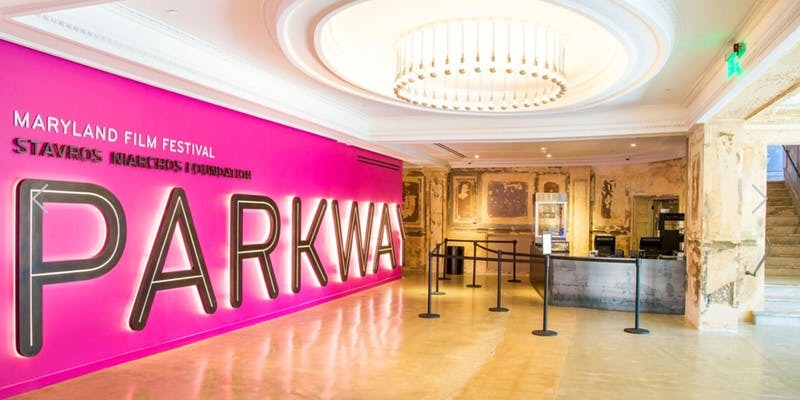 Although they are varied and complex , I am presenting a brief synopsis of each project, which provides information for readers to visit the current exhibitions. As a current student in MICA’s CP ’15, I am proud of the savvy, unconventional, extremely invested peers I call my classmates; a group of young curators that will no doubt change the creative market and, dare I say, the art world. 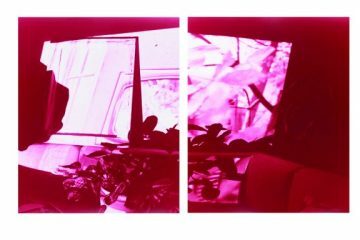 Qianfei Wang – Language+: Let’s art a conversation! Language+: Let’s art a conversation! 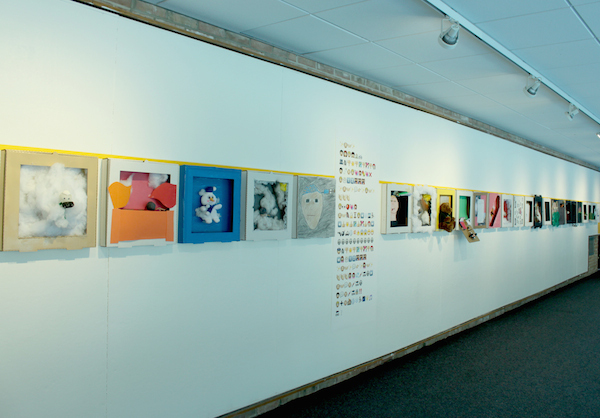 is a two-venue exhibition that uses programing to explore art as a medium for expression and communication. 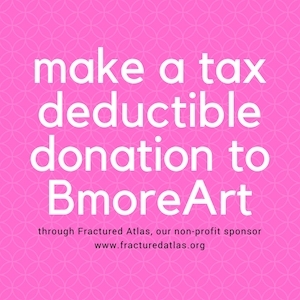 Language+ partners with two private schools—The Park School of Baltimore, a non-sectarian, independent, art-based school with grades ranging from pre-kindergarten through twelve; and Baltimore Lab School, which utilizes an arts-infused curricula for students grades 1-12 with learning disabilities. 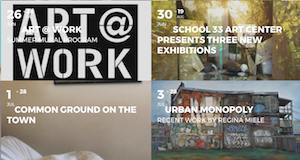 The project aims to celebrate the process of art-making; based on each school’s academic curricula, Language+ offers students from a range of grade levels the opportunity to express themselves and exhibit new artwork. Both The Park School of Baltimore and The Baltimore Lab School embrace contemporary, progressive education, making them ideal partners for Language+. The schools share the belief, espoused by John Dewey in his book Education & Experience, that education should be based on an individual’s needs and experiences. 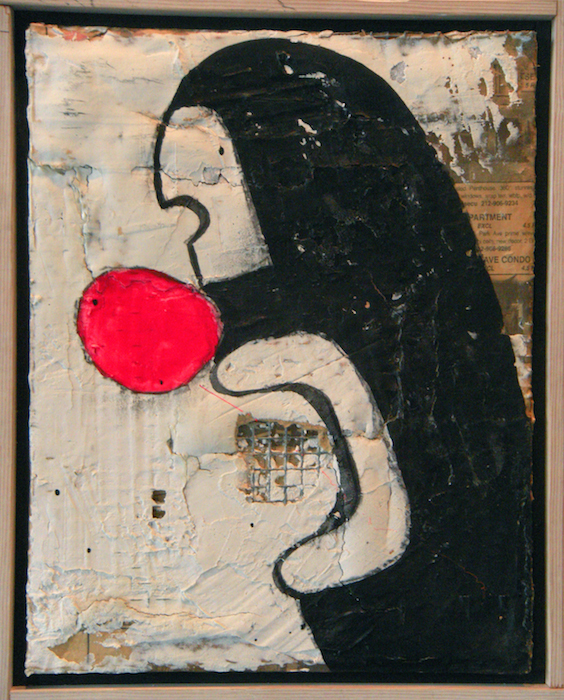 This project uses movement, art making, design, and music to further explore that notion. Additionally, it offers young people a variety of opportunities for discovering new interests and enhancing existing skills. Language+ also showcases the school’s common themes, strengthens those ties, and paves the way for future partnerships. In partnership with Maryland Traditions and the Latino Providers Network, Devociones y Fe (Devotions and Faith) is a co-creative exhibition of objects, artworks, and interviews that investigates Latino spiritual traditions of faith and devotion, and how those traditions create a sense of belonging within the Upper Fells Point and Highlandtown neighborhoods—the centers of Baltimore’s growing Latino communities. As a Hispanic artist-curator coming from Miami—a city that is 70% Hispanic according to the 2010 National Census—Michelle Gomez, the exhibit’s curator, was eager to learn more about the growing Latino communities in Baltimore. After studying at MICA for almost 6 years, she realized she had become isolated from her ethnic identity. 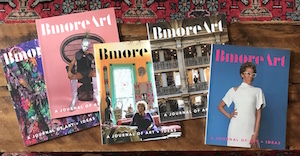 This drove her desire to personally connect to the Latino groups in Baltimore and make an exhibition reflecting and paying tribute to this community. The importance of faith was a common thread throughout the conversations Gomez had with Latino individuals she interviewed over the past year and a half. They shared stories about why they came to Baltimore, traditions they missed, ceremonial processions, and the importance of giving thanks to various saints through altars. Gomez was drawn to the wide variety of altars she saw within homes, businesses and restaurants. “It is so beautiful to see these cultural icons such as the Virgen de Guadalupe in so many spaces within the same neighborhood; I wondered how and whether or not those icons and spiritual traditions create a sense of belonging for Latinos.” This planted the seed for her thesis project. 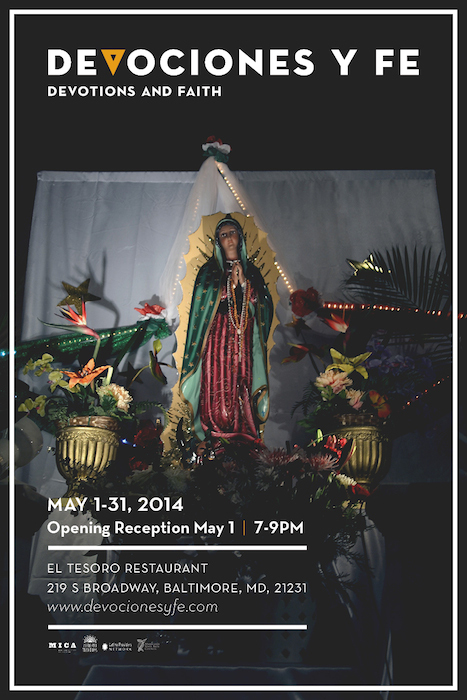 Devociones y Fe will be on view May 1st at El Tesoro Restaurant located in the heart of the community she studied, ensuring accessibility to the people who informed it. 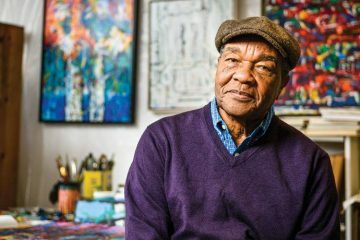 Through daunting tasks like “painting a 6,000 sq foot space that felt like it would never end,” Tucker-Melvin stayed the course and it paid off in a wide-ranging and professional exhibition. “This whole show has reinforced my interest in collections. It also gave me a way of looking at artists’ estates and their whole body of work that is different than I had before,” says Tucker-Melvin. 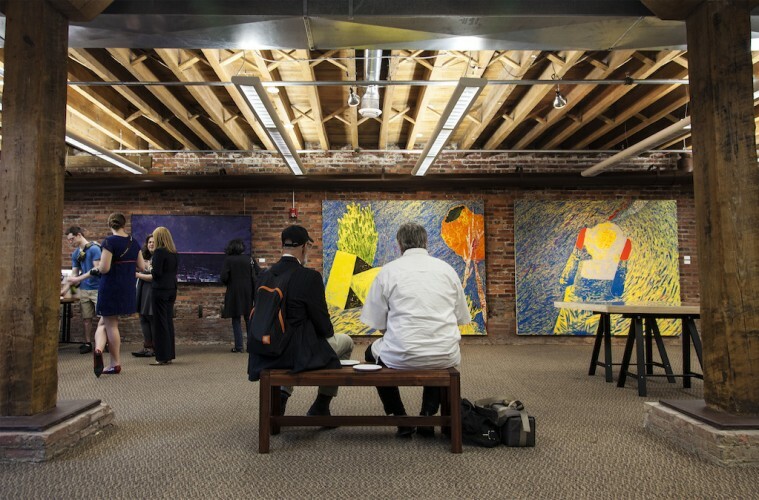 The project is a partnership with ICA Baltimore and the Estate of William S. Dutterer. * The featured Image at the top is from this exhibit as well. 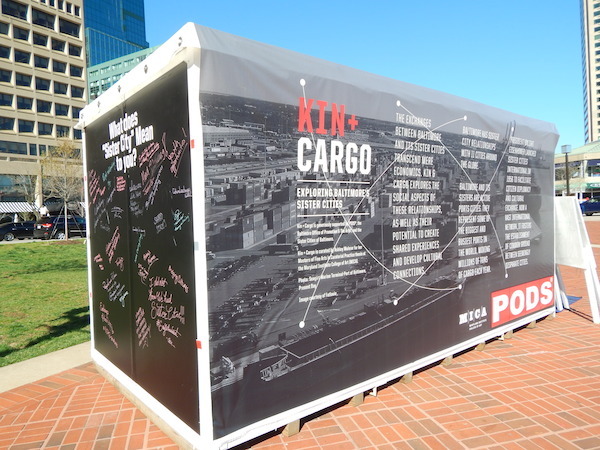 Kin+Cargo explores the unique and complex relationships Baltimore shares with its Sister Cities. It acknowledges the continuous bond these cities share through its port history and culture, and seeks to examine what these cities and the people who inhabit them are like now. The port of Baltimore has visibly and radically changed since the founding of these relationships in the 1980’s- and inevitably, the change will continue. Initially, curator Ashley Molese, explored the Baltimore and Kawasaki Sister City connection exclusively. 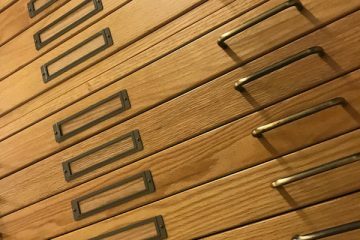 She was fascinated by Japanese visual culture, and wanted to investigate what Baltimore had in common with a city she initially thought of as so disparate. Kin+Cargo has since transformed into something completely different from its initial concept. 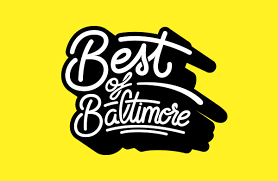 Molese had been exploring the possibility of a simulcast, large scale video projection series centered around Mary Ann Mears’ s Red Buoyant sculpture that Baltimore and Kawasaki share. Thirty years ago, Mears gifted Red Buoyant II to Kawasaki, which sits prominently in its metro center. 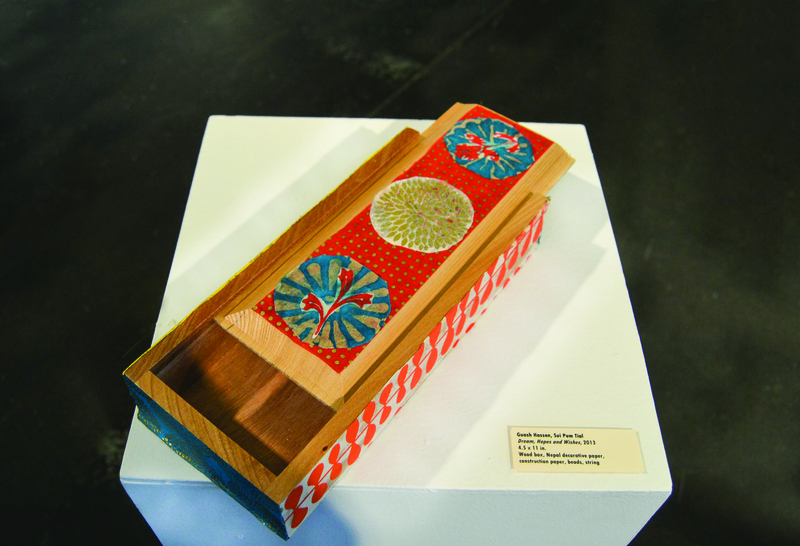 Interweaving Traditions: Bookbinding Across Cultures is an exhibition of book art produced by high school students from Baltimore City Community College’s Refugee Youth Project (RYP). Over the course of two years, local book artists facilitated workshops that offered an opportunity for refugee youth to explore the complexities of their cultures while connecting immigrant communities to one another. Victoria Tempo, the show’s curator, strives to show diversity in artists and explore dialogues between marginalized communities and their artistic practices. Working with refugee youth was a personal journey for her. As a Ghanaian American, she relates to the RYP students’ feeling of isolation and frustration around moving to a new country. Tempo originally conceived the bookbinding exhibition two years prior on a visit to Ghana, West Africa where she met talented book artist John Nii Ayi Hyde. Xiaotian Yang worked with a team at Johns Hopkins University to develop Gallery Q, a new exhibition space located in the MSE Library on the Hopkins campus. 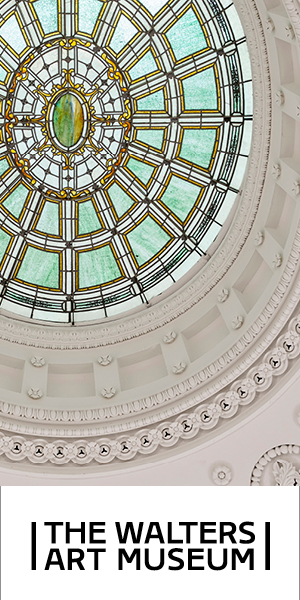 Gallery Q is expected to emulate a professional exhibition space showcasing the collections, cultures, and academic achievements of the University’s diverse programs. Yang’s hope is that Gallery Q will serve as a platform where student’s can connect and learn about projects on campus, resulting in innovative collaborations. Different from a traditional white cube, the goal for this space will be to explore a hybrid between a lab, a museum, and a gallery: one that can accommodate a variety of display techniques, conversations and discoveries. 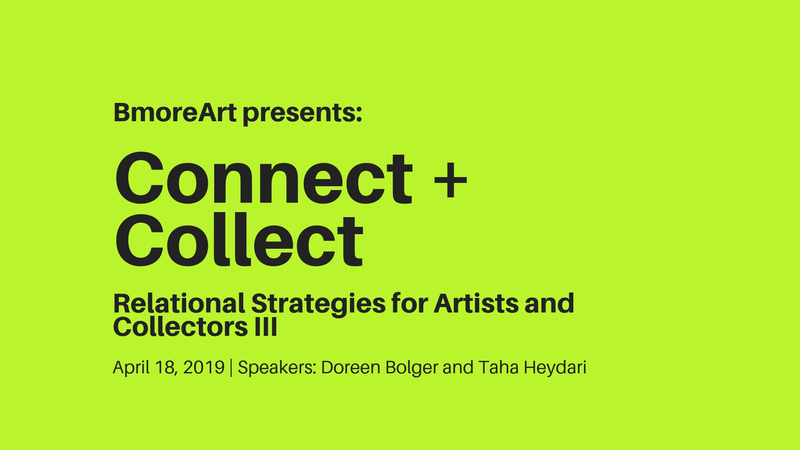 Further hope is for the gallery to educate and benefit the surrounding neighborhoods by providing free access to cultures event and venues. 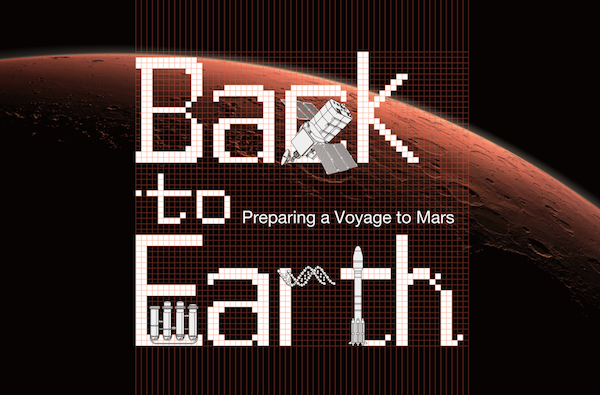 Back to Earth-Preparing a Voyage to Mars explores how scientific discoveries influence artwork and popular images of Mars. 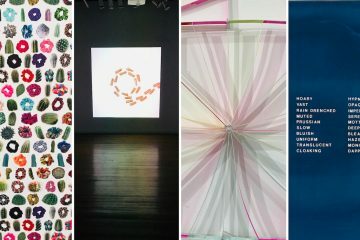 With this in mind, artists Jonathan Latiano, Jenn Figg, and Matthew McCormack created work that attempts to bridge the divide between the scientific and artistic communities. In line with the gallery’s mission, their work strives to initiate dialogue, inspire minds, and provide an interactive space to discover the universe’s deepest mysteries. 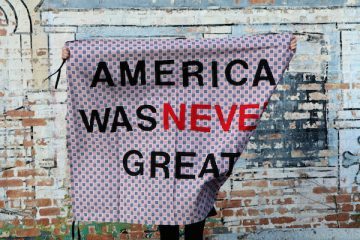 * Author Marnie Benney is an MFA candidate in Maryland Institute College of Art’s Curatorial Practice program–the first program of its kind in the country, and one in which the emphasis is on the execution of relevant, timely, sustainable projects. Previously, she received her BA in Media Studies and Anthropology from Pitzer College. Through her work at The National Geographic Society, OgilvyPR, and Anthropologie, she developed a passion for engaging local and international communities, fostering connections among them, and creating reflective moments through various forms of media. 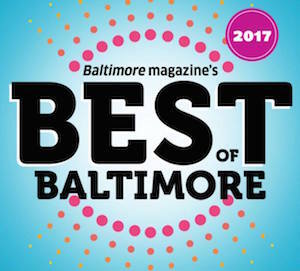 During her time in the Curatorial Practice program she plans to initiate a dialogue among international artists by bringing them to Baltimore, a city with an exciting, bourgeoning art scene and a gritty landscape, providing a window into different worlds expressed through the common language of art.